Android users are probably familiar with the Swype keyboard which basically allows users to type on their phones just by swiping (or “swyping”) between characters versus pecking at individual letters one at a time. In fact one iOS developer has event attempted to port Swype onto iOS devices although it didn’t exactly take off. 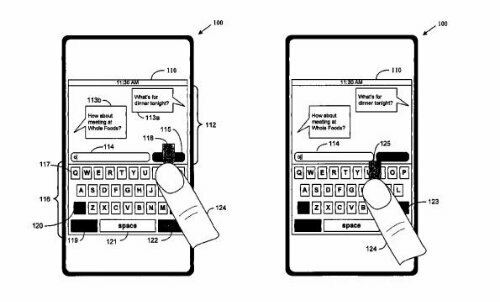 However it seems that Apple did think about keyboard alternatives back in the day, and thanks to a recent patent that was published, it looks like Apple’s idea was pretty similar to Swype. According to the patent filing, it was filed for back in 2007 which is the same year that the first iPhone debuted, suggesting that Apple was already looking for keyboard alternatives for touchscreen devices back in the day. However given that it’s 6 years later and the only revision to the Apple keyboard on iOS would be its design, it’s safe to say that Apple decided not to pursue this idea, or other keyboard ideas the Cupertino company and its team might have cooked up then. In any case Apple’s keyboard is more than functional and is pretty accurate as far as onscreen keyboards are concerned.